Q: What is gold bullion? A: Gold bullion is pure gold, either in bar or coin form, and will be marked as .999 or .9999 fine gold. Q: What is scrap gold? A: Scrap gold is old and/or broken jewelry that is no longer worn or is missing pieces. 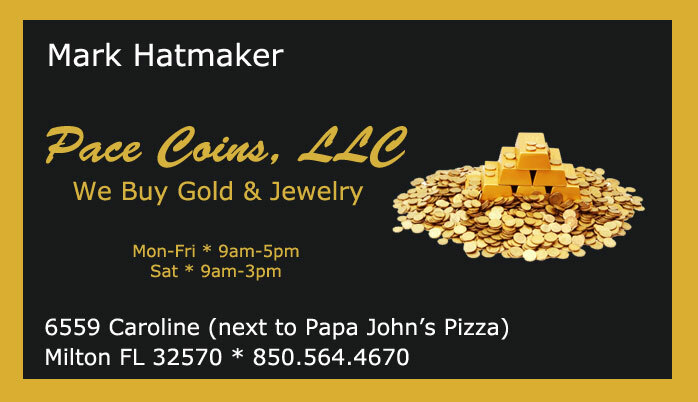 Q: Is my jewelry worth the current market price of gold? A: In most cases no. Gold jewelry is broke down into different karats. The lower the karat means less gold in the item. Q: Do we buy spoons, forks, trays, etc: ? A: Yes, we do purchase Silver flatware. Q: Do we pay in cash or check? A: We pay cash for all transactions. If you did not find an answer to your question, please don't hesitate to call or send us an email.